What used to be an urban issue, traffic and poor roads, has now taken a grip on many smaller cities and communities across the nation, where a deteriorating infrastructure is beginning to hurt the bottom line of small and medium sized companies. People will continue to matriculate to where the jobs are located. It takes much less time to build a condominium than it does to prepare the transportation infrastructure that goes with it. Here is an example. I have a friend who owns an outdoor landscape lighting company in Atlanta. He had to visit 3 clients to do minor repair work taking no more than 30 minutes each. However, due to the traffic congestion in and around the city, this 90-minute job total took over 6 hours to complete. This makes his business model very difficult to be successful. The worse part is that it is almost completely out of his control. According to the Small Business Majority, “More than 54,000 of our country’s bridges are structurally deficient, one of every five miles of America’s roads are in poor condition and much of rural America lacks crucial access to broadband technology.” As one can imagine, nobody is against fixing broken roads and bridges. It is just a matter of prioritization and funding. 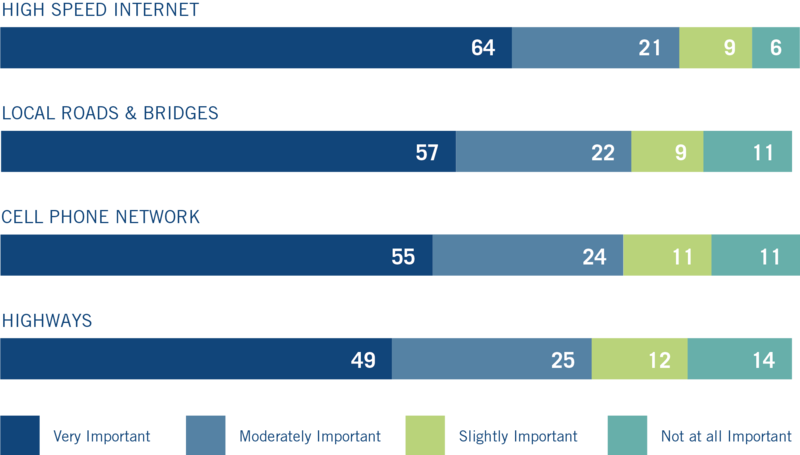 A survey conducted by MetLife and the U.S. Chamber of Commerce Small Business Index shows the concern by small businesses for infrastructure repair. The current power outages in South Africa are a prime example of what can happen to a national economy when major utilities and transportation systems are not adequately maintained. In the U.S., much of our infrastructure has reached the end of its lifespan, and without action from the federal government, we will continue to Band-Aid an antiquated system. 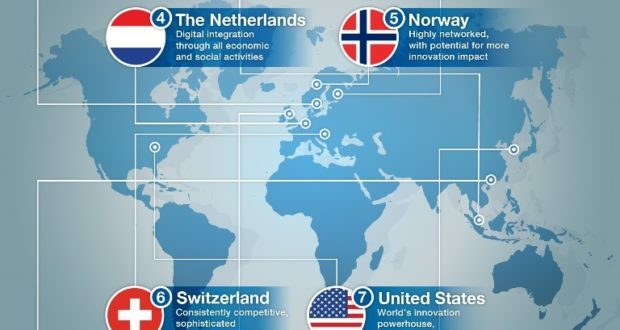 All this while other countries, including China, India and Spain, are adding modern, 21st century infrastructure. We have been somewhat lulled to sleep by the fact that our technological strengths offset some of the physical weaknesses. 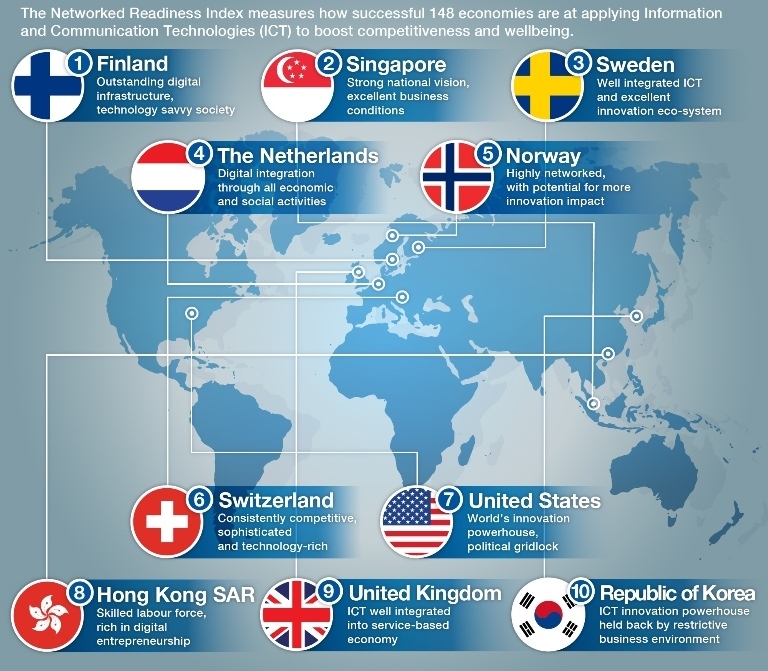 According to the Networked Readiness Index, the United States ranks 7th in the world for using technology to boost competitiveness. One would guess that on a global scale this would be largely big multi-national corporations, and not the small and medium-sized businesses we speak of here. So what can be done to ameliorate our nation’s infrastructure? In its 2017 Infrastructure Report Card, the American Society of Civil Engineers gave the nation’s infrastructure a D+, with the transit sector earning a miserable D-. ASCE estimates that failing to close the infrastructure gap will cost the U.S. economy $7 trillion by 2025. Take steps to address the skilled-worker shortage. Let’s take this bi-partisan issue to the American public and get going on bringing our nation back to the top of the best infrastructures in the world.